The bio of the Hayman Family | Launceston Then! Henry Hayman was born in 1821 to Nicholas and Jemima Hayman at Sidbury, Devon. His father was a shoemaker. He started out working as a labourer and in the 1841 census was found living on his own at Weston Village, Buckerell near Honiton. He married Frances Flood of Honiton in 1848 and their first child, Catherine was born in 1852. 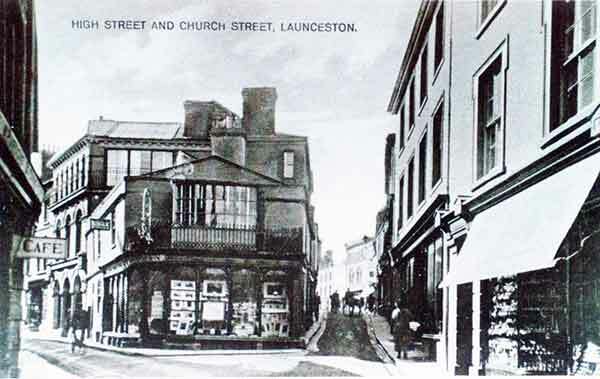 It was also in 1852 that the family had moved to Launceston where Henry had set up in business operating as a ‘Fancy Bazaar and Warehouse’ according to the Kelly’s Post Office directory of that year. In 1856 he was offering his customers ‘a fancy repository, jeweller, Berlin wool warehouse and haberdasher’. It was what was often called a ‘tiddley shop somewhere that you could obtain just about anything, including when in season local fruit and vegetables. 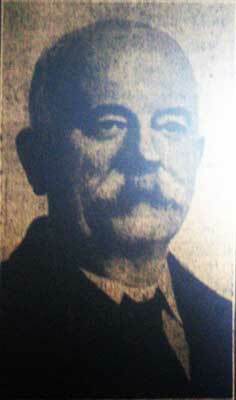 In 1854 there second child, Charles Henry, was born. It was soon after this that Henry turned his hand to photography and for this we can be thankful, for many of the old images on this site are his work. Hayman’s work -cartes de visite- but also plate views of Launceston, it surrounds and the adjoining areas of Devon, is of high quality. 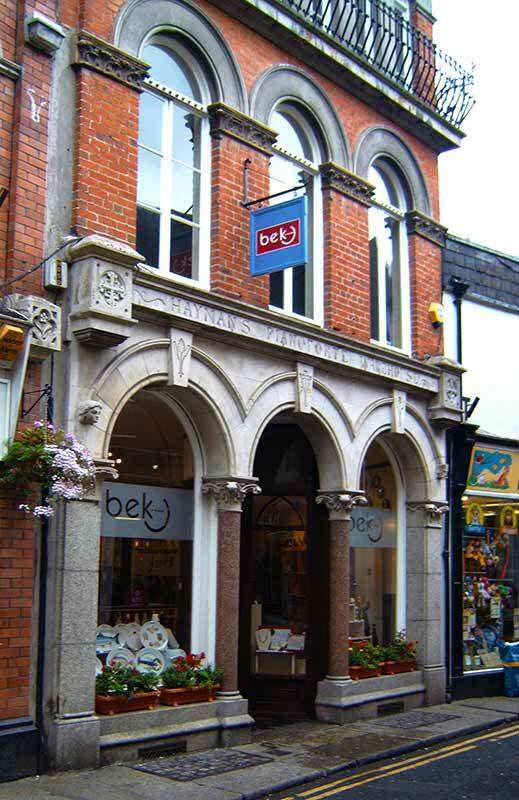 In 1866 he entered a selection of his scenic images at the Polytechnic and not many years later the shop was listed as a photographic business. Henry had a photographic studio built on the 1st floor (this was threatened with being removed in the early 2000’s when the building was being refurbished, but thankfully it was saved and has been renovated). Henry was a staunch Methodist and was a member of the Congregational Church in Castle Street serving as a Deacon for 36 years and as organist. 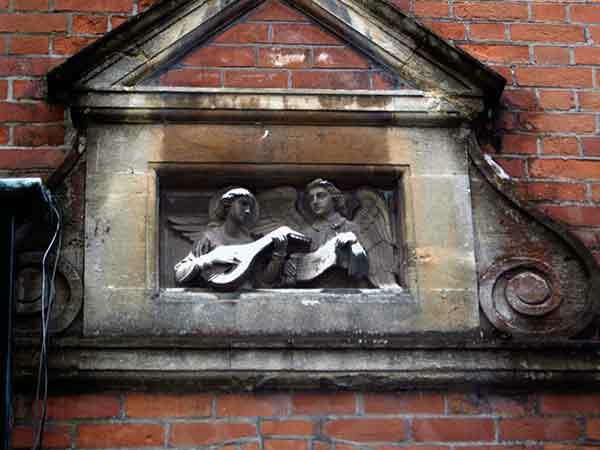 He was well regarded as a musician and composer having written many hymns. He was also a Liberal and was for several years served upon the town council. 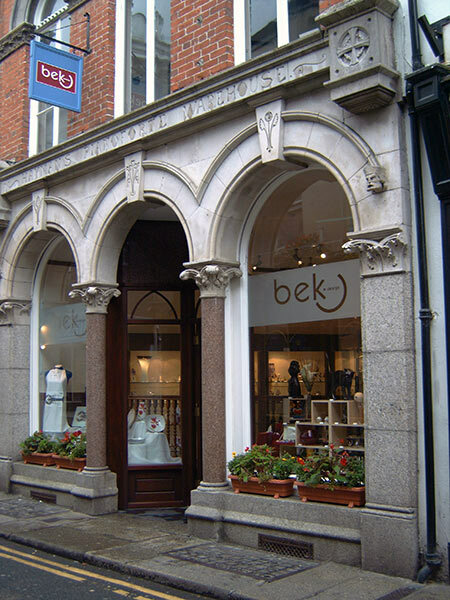 With continued success Henry was able to purchase 20a next door (above) from a boot and shoe maker and in 1880, had it taken down, and to a design by Mr. James Hine of Plymouth he had a a purpose built premises constructed by Mr. William Burt of Newport. The premises was for a new venture of a Organ, Pianoforte and Music Warehouse. The edifice was completed in November 1880. Charles, a Liberal, was elected to the borough council in the 1883 elections. Charles who had married Laura Batten in 1895 together they never had any children, but Laura had four children from her previous marriage and they helped in the shop. Charles was the Captain of Launceston Fire Brigade for 27 years and also the honorary organist and choirmaster at the Congregational Church in Church street, a role that he served for over 40 years. Charles was also a member of the Launceston Choral Society and honorary secretary of the Launceston Cricket Club and the evening fete committee. Charles passed away on February 3rd, 1928. The funeral service was held at St. Mary Magdalene Church officiated by Rev. N. A. Rivers-Tippett and assisted by Rev. A. N. F. Keogh. In his will he left the sum of £6,373 to his widow, Laura.